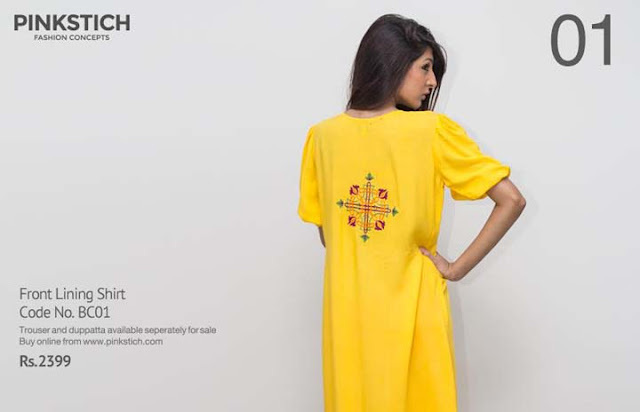 Pinkstich is a great new fashion design Pakistani label where we create concepts for women fashion needs, for everyday clothing, business women, bridal and many more. 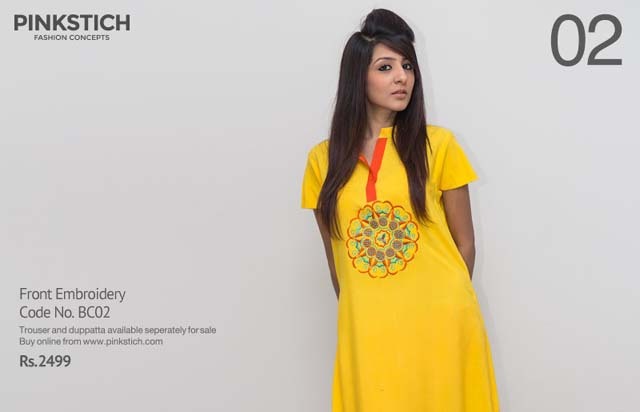 Pinkstich fashion label have launched their supreme spring Basant collection 2013 all the collection is consisting on dresses of yellow color which is exactly symbol of Basant. 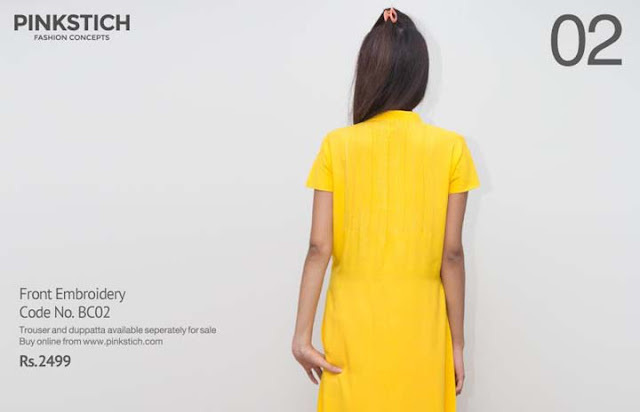 Pinkstich has launched this collection for the season of spring.As we know that the the season of spring always comes with an occasion of Basnat. 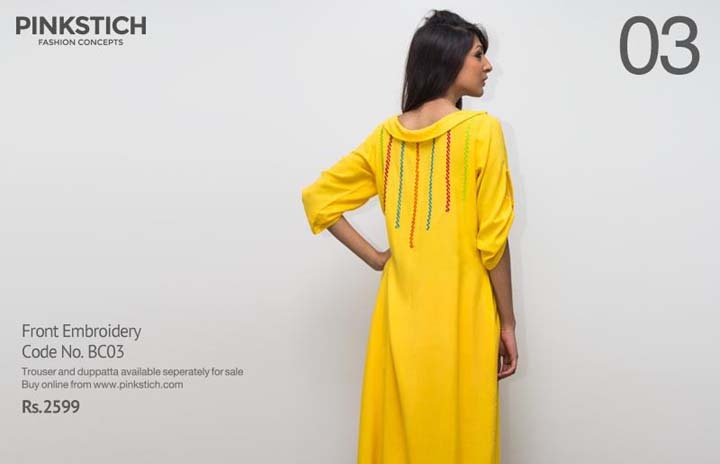 Basant is a colorful event and mostly yellow shade is very common for this event.Pinkstich basant day collection 2013 for women has consists of long shirts which can be wear with trousers and tights both.This is a perfect collection for young girls because of their awesome stitching styles.